Worked in Pharmacology and Physiology departments for 2 years.In the field of Ophthalmology 47 years +. was on the faculty of Medical College Amritsar for 23 years. Professor Emeritus since 1986. 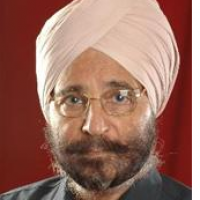 Director, Dr.Daljit Singh Eye Hospital Amritsar, India. Past President of All India Ophthalmology Society,Founder President of Indian Intraocular Lens and Refractive Society, member International Intraocular Implant Club. Started lens implant surgery in India in 1976,Iris claw lens implantation in 1979, Worst-Singh keratoprosthesis in 1980,paralimbal keratoprosthesis in 1981,phakic iris claw lens in phakic hyperopia in 1987, laser refractive surgery in 1991 and Fugo blade use in 1999.